We often categorise the issues we experience in sectional title schemes as the “3 ‘P’s’ of sectional title living”, namely pets, parking and people, which are more often than not, the cause of most of the problems in sectional title schemes. Although this list has been added to over time, these 3 issues remain the favourites. This article will be deal with parking issues. The prescribed conduct rules of the Sectional Titles Schemes Management Act briefly deals with parking, by providing that an owner or occupier in a scheme must not park or allow their vehicles to stand on any part of the common property, other than a parking bay specifically allocated to their section, and in the case of visitors, a parking bay allocated for visitors’ parking. However, the rules provide further, that the trustees can consent to such use of the common property, but only for a limited duration, and in the case of an emergency, no prior trustee consent is needed. It’s important to note that parking in visitors parking because it is closer to your flat or because you will only be home for a little while before heading out again, is not an emergency! Many schemes specifically regulate the use of visitors parking bays in their amended registered or Community Schemes Ombud Service approved conduct rules. These rules can include towing away of vehicles or wheel clamping, access control procedures when entering and exiting schemes, the use of garages in such a way as to prevent it from being used only for storage, and the duration of parking, such as the prevention of parking by overnight visitors. It is interesting that the trustees no longer have the power, in terms of the new prescribed conduct rules, to remove or tow away any vehicle parked, standing or abandoned on the common property. However, schemes may amend their conduct rules to grant the trustees this power, which could be extended further to include clamping of the wheels of these vehicles. The amended rule should not provide that the trustees may themselves remove or tow away the vehicle, rather that they may arrange for the removal or towing away of the vehicle. By arranging a specialised contractor, the trustees reduce the risk of possible damage to the vehicle, and liability for such damage. Situations have occurred when the trustees, managing agents or scheme employees have been unsuccessful in their attempts to arrange such a contractor to come out to the scheme to remove or tow away a vehicle. In such a case, clamping of the vehicle may be a better option. Although the prescribed conduct rules have never provided for clamping of vehicles, the scheme’s amended rules may provide for this action to be taken by the trustees, managing agent, security or scheme employee. Bearing in mind that the owner of the vehicle will be liable for the expense of removing or towing away the vehicle, when drafting a rule providing for clamping of vehicles, provision may be made for the payment of a release fee or penalty by the owner of the vehicle to the body corporate before the clamp will be removed from the vehicle. Issues may arise when the owner of the vehicle wishes to remove the vehicle at a time when there is no one available to release the clamp, such as late at night. When clamping the vehicle, it is suggested that a notice be placed on the car, providing the contact details of the party in charge of releasing the clamp. As with any fining or penalty provision in the scheme’s rules, the rule (and the amount of the fine or penalty imposed) must be reasonable and be enforced through proper procedure. Many schemes find that they do not have sufficient available parking within their scheme for their residents, and allow visitors parking to be used on a permanent basis by owners and occupiers. If a scheme finds itself in this situation, it is important to first find out whether the applicable zoning scheme requires visitors parking, and the number of required bays. If there is such a requirement, the scheme will need to utilise an available area of common property to create additional parking. a lease could be entered into between the body corporate and the owner or occupier of a section. Each of these options require authorisation by member resolution, and in some instances, amendment to the scheme’s rules, or sectional plans, and the adjustment of the contributions payable by members. We are often asked if these areas of common property can be sold, but unless the particular part of common property can be legally removed from the sectional title scheme, it cannot be sold. However, the body corporate, as part of the required member resolution, may agree with the applicant owner for an amount of compensation, which should be reasonably calculated. 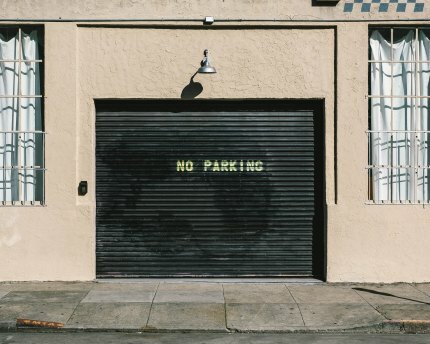 As you can see, parking problems in a sectional title scheme may have far-reaching implications for owners and occupiers, and as such if you have any queries relating to this article and topic, feel free to contact us via email at consulting@paddocks.co.za or telephonically on 021 686 3950, for a no-obligation quotation for a consultation.